Cyberspace the world in the wires The most comprehensive introduction available to the full breadth of recent social scientific debates about cyberspace. In clear, jargon-free prose it presents an interdisciplinary synthesis of the most important recent material from social theory, cultural studies, sociology, political science, geography and planning. An excellent teaching text. Stephen Graham A detailed and accessible outline of the history and approaches to the Internet and virtual realities, highlighting the importance of cyberspace as an economic and cultural project and exposing the links which ground virtual realities in our lives. Rob Shields A wide-ranging review of how new technologies are changing the social and organizational landscape of late capitalism and the postmodern world. The challenge is to show how new technologies interact with social practices -- Kitchin succeeds admirably, providing us with a unique synthesis. One of the best maps of cyberspace to date. Michael Batty Cyberspace -- the most over-hyped term of the late 20th Century -- is really transforming our lives. The way we work, find information, find entertainment how we do business, how we communicate with each other, how we understand time and space -- cyberspatial technology has changed all this. It has also raised new questions about who has (and who ultimately controls) access to new technology and thus to information, how new cultural and political groupings can be created regardless of geography and even of policing, how cities and economies can restructure to remain globally competitive, about the individual's right to information, the power of information over the power of capital, and about where our bodies end and our machines begin. This is the first complete and systematic analysis of cyberspace and virtual technologies, covering not only technological developments but their social, cultural, political and economic implications. 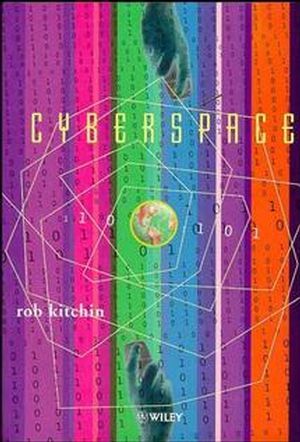 The History and Growth of Cyberspace. Cyberspace, the Information Economy and Urban-RegionalRestructuring.